There are a lot of smart people who are interested in ancestral and evolutionary health. Personally, I find it very encouraging to see people from various backgrounds thinking deeply about how looking back into human history can help us improve our present-day wellbeing. These people come from all walks of life and each person has come to this way of thinking by a unique path, but many have similar stories. Sharing a story breeds camaraderie, and I think part of the reason the “paleo” movement has developed such a strong online community is because of the solidarity that comes from sharing a similar personal journey (that’s not to say there isn’t division and strife in the community- there is plenty!). Sharing core principles also promotes professional camaraderie. Alas, few of us in the medical profession share an interest in ancestral and evolutionary thinking. I have been very fortunate in my brief clinical experience to have worked alongside and under (medical academics is definitely a hierarchy) people who have indulged me in conversations about how evolutionary and ancestral theories apply to modern medicine. But while some are happy to talk about select topics in ancestral health, few think about it deeply or use ancestral thinking in their medical practice. There are physicians who think about ancestral health and evolutionary medicine, and I am always enthusiastic (perhaps a little bit too enthusiastic?) to meet and interact with physicians who share my academic interests. As I said above, sharing a journey breeds camaraderie (that definitely seems to be the “word-of-the-post”), and it frequently seems that the tougher the journey, the greater the camaraderie. Medical training is a gauntlet. After an undergraduate degree, medical degree, internship, and residency (to say nothing of longer residencies, an added fellowship, or additional degree(s)), a physician in the US has spent a minimum of 11 years in “higher education” to become a practicing clinician. As I wrote in my last post, “nocturning“, clinical training is physically and mentally exhausting (and decidedly unhealthy). Other allied-health and research professionals also travel long academic roads, and surely the trials and tribulations of the academic journey of each profession fosters camaraderie within each group. Similarly, for those of us who have achieved a PhD- we may have done research in different labs, under different mentors, and in very different fields, but there is a mutual understanding of what one endures to finally earn those three letters after one’s name. I have been fortunate that I have built some strong personal relationships in the ancestral health community. One of the first “ancestrally minded” people I met in real life was Dr. Emily Deans– a psychiatrist with a deep interest in the interaction between nutrition and mental health. While we are separated by some distance, it is good to have a friend who not only shares my passion for ancestral and evolutionary health but who also understands the arduous journey of becoming a physician. In the past couple years I have also met a number of other physicians; first online, and then last August at the Ancestral Health Symposium (AHS) I had the pleasure of meeting many in person. 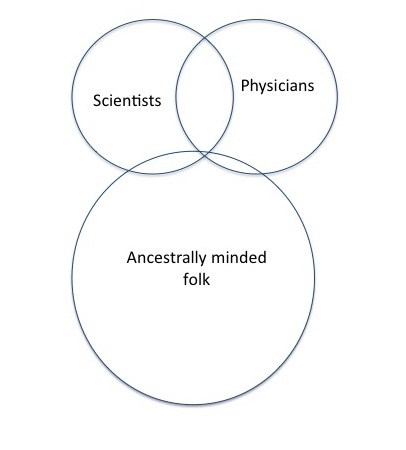 Less than a year ago, a few likeminded physicians thought it would be beneficial to form an organization for physicians (MDs, DOs, and international equivalents) interested in ancestral health. This idea blossomed at AHS, and in the last few months a meeting was organized to bring such an organization into fruition. 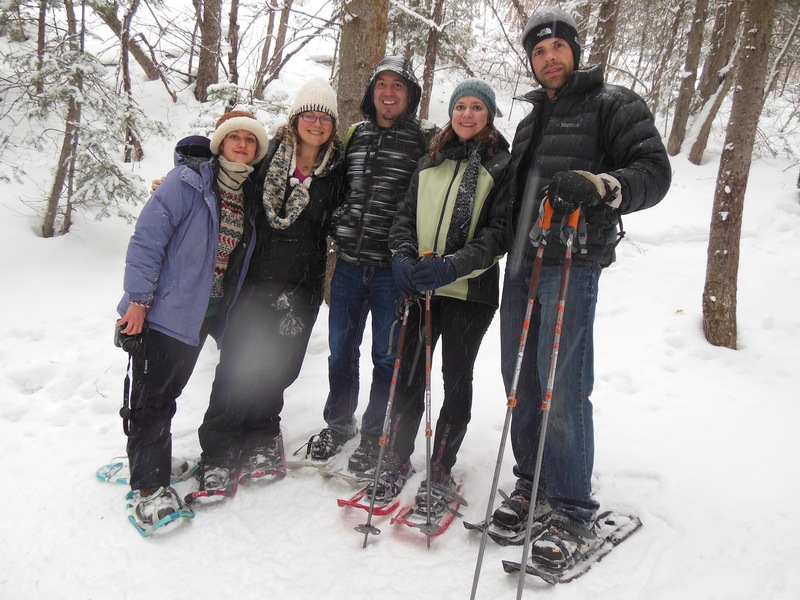 This past weekend I travelled to Salt Lake City for the Physicians and Ancestral Health (PAH) Winter Meeting. Leaving the northeast as a blizzard approached to head to snowy Salt Lake City seemed a bit like jumping “out of the frying-pan and into the crockpot” meteorologically speaking, but personally and professionally the trip was fantastic (and people in Utah seem to handle the snow in stride, quite unlike home in the northeast!). This was the first official meeting of PAH, and twelve physicians from around the county (and Canada) got together to discuss what we know, what we’d like to know, how to share our information, and what we need to do to grow. We discussed different types of research, the need for more research investigating and supporting an ancestral approach to medicine, and the importance of producing and publishing results. 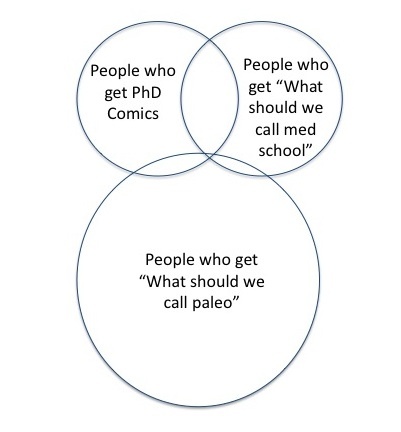 A word on research… Physicians are not scientists (save for physician scientists, a truly minuscule blip in the Venn diagram of the ancestral health community) and while anecdotes can be powerful, they are not the kind of evidence that will sway physicians, scientists, and practice. I recognize that as an MD/PhD student I am well positioned to make some waves in this area- I’ll try not to get too overwhelmed by the thought! Fortunately, there are already some physician scientists producing data and publishing papers, one of whom I got to meet this weekend. In addition to setting up the framework for our nascent organization and discussing how we might foster ancestral-thinking in modern medicine, this meeting was an opportunity to form new friendships and strengthen old ones. As the lone medical student at the meeting, I felt very fortunate to interact with enthusiastic and supportive physicians from several different fields who all share an interest in ancestral health. I enjoyed talking about research with Dr. Lynda Frassetto, who’s papers I frequently reference when talking about the benefits of an “ancestral” diet. It was great to get a chance to talk about functional movement with Dr. Jacob Egbert and then go to Ute CrossFit where he led a practical session. I’m straight out of my Ob/Gyn clerkship, so I loved sharing stories with Dr. Don Wilson, an Ob/Gyn from Canada with first hand knowledge of the health of indigenous First Nation people. I had the chance to talk about the opportunities I’ll have if I decide to pursue a residency in family medicine with Dr. Rick Henriksen and other family docs. It wasn’t all a rosy picture (though Rick is nothing if not enthusiastic), but I got a lot of honest and useful information from these physicians. There was also a preponderance of psychiatrists (or is that a contemplation of psychiatrists? ), including my good friend Emily Deans, as well as a cardio-thoracic surgeon. I’m glad to have met Dr. Ede, and to have been introduced to her impressive website Diet Diagnosis. It was also a pleasure to catch up with Dallas Hartwig, from Whole9 Life, who spoke with the group about functional medicine. A lot of knowledge and information was shared this weekend, and I think we all walked away from the weekend with new friendships, a renewed sense of camaraderie with fellow physicians, and thoughts on how we can each do our part to help promote ancestral health. Personally, I have a number of goals, not all of which I need to share. I will say, however, that I feel there is a strong need to champion non-nutritional aspect of ancestral and evolutionary health. As the Hartwig’s book beautifully argues- It Starts with Food– but there are many other ways to incorporate ancestral and evolutionary thinking into modern medicine. That is one of my goals on this blog, though of late I have been writing more random ramblings than thoughts on distinct elements of evolutionary medicine. 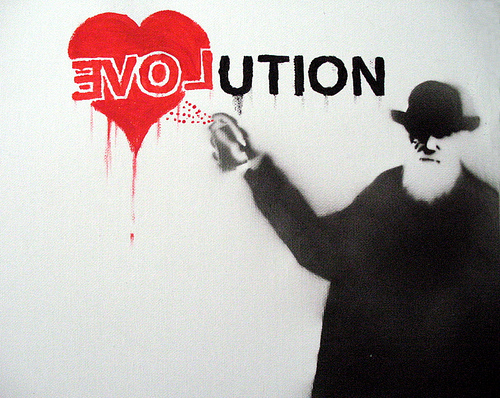 As I officially make the transition from MSIII to MSIV (as of today I have completed all the 3rd year requirements of my medical degree), I hope that I’ll have more time to write about a number of topics in evolutionary medicine. Until then, I appreciate that readers follow along with my random ramblings, and am very glad that there are physicians who share a passion for understanding human health in the context of our evolutionary past. PAH doesn’t have a website up yet, but for more information you can go here. I have been a zombie today. I’ve wanted to write this post all day, but I’ve been spinning my wheels, unable to find the focus to sit and write. I know where my inability to focus comes from. It’s the same thing that’s been causing my insatiable hunger and serious sweet-tooth. I had a night shift on Thursday night. The health industry is notoriously unhealthy. Even during the best of times the medical community tends to get things wrong with seminars on preventative health being coupled with breakfasts that consist of pastries, margarine to schmear on bagels, and fat-free non-dairy creamer to opacify a foul smelling substance that masquerades as coffee. Practicing medicine is not easy on the body. Being a doctor is stressful and, of course, spending your days around people who are sick makes you prone to getting sick yourself. Lack of sleep is another big problem. Of all the clerkships that medical students rotate through, the surgical ones- surgery and obstetrics/gynecology- have the worst hours. Depending on a school’s program, this is where students first get to experience the joys (by which I mean terrors) of 24+ hour call and “night float”. At my school, the surgery clerkship has maintained the traditional call schedule (you work a day and then when you’re on call you stay for the night and finally go home the next morning when you are “post call”), while the ob/gyn clerkship has adopted a “night float” schedule for students, where we switch from day service to night service for a few days running during the clerkship. These two clerkships were separated by 8 months in my schedule, so it’s perhaps hard to accurately compare them. Nonetheless, I’d like to write about my experience with these two notoriously rough clerkships. My school still follows a traditional call schedule for students on the surgery clerkship: every 4th or 5th day we would be “on call” after our normal day in the hospital. For the first half of this clerkship I was at a hospital 45 minutes away from my apartment. I was up between 4:25 and 4:30 each morning to be in the hospital by 5:30 to round on my patients before we “ran the list” as a team shortly after 6 and then headed to the OR for the day. During that first month I subsisted on my morning espressos and my best attempts at healthy snacks- unsweetened banana chips, jerky, nuts, and 85% chocolate. In the evenings I’d eat a proper dinner before putting myself to bed before 9 on most nights. I occasionally managed to make it to the gym, but I tended to feel rather weak and pathetic when I managed to get in a workout. Every 4th or 5th night I was on call, and instead of heading home around 5pm as per usual, I would grab dinner in the hospital cafeteria and see patients in the emergency department and go to the OR for emergency cases. At some point during the evening (usually between 11pm and 1am) the night resident would tell the med students to retreat to our on-call room for some sleep, promising to page us if anything interesting came through. For me, at that hospital, I was never paged during the night. My second month of surgery was on the trauma team at our university hospital, which is a level 1 trauma center. Start time was similar at this hospital, but I was now 25 minutes closer, giving me 25 more blissful minutes of sleep. Also, at school we have a students’ lounge with a fridge and microwave, and I was able to start eating real lunches again. I also had realized that going to the gym in my stressed and sleep-deprived state was doing me no favors so I put my gym membership on hold. Our call schedule was similar on trauma service, but unlike the general surgery service at a community hospital, the trauma team at our inner-city hospital was constantly getting paged in the wee-hours of the morning. I don’t think I ever got more than 2 hours of sleep when I was on call, and was always woken by the screams of the pager rather than the dulcet tones of my cell phone’s alarm (I occasionally hear a pager with the same ring-tone as the trauma pager and it still sends chills down my spine). At the first hospital, after being on call, we were usually dismissed after we “ran the list”- frequently being on the way home shortly after 7am. On trauma we would run the list, go to radiology rounds, and then physically round on our patients as a team before being sent home. Alas, our list of patients grew malignantly during my month of trauma and at one point we had over 30 patients, with some on each floor of the hospital. After a night on trauma I would usually find myself driving home after over 30 hours in the hospital (sometimes with no sleep) willing myself to get home safely (I really didn’t want to end up in the trauma bay as a patient- nothing like the fear of having your classmates cut your clothes off with shears to keep you awake!). It’s amazing what lack of sleep does… I remember being asked a simple question one post-call morning on rounds and completely drawing a total blank. The funny thing was, it was a simple question that I actually felt very strongly about (Why do so many of our hospitalized patients have messed up electrolyte levels? We do it to them by flooding them with fluids!). Also, despite eating a lot less than I usually do, I definitely put on weight during my surgery clerkship. Eight months later, as I faced the prospect of another notoriously rough clerkship (ob/gyn), I prepared myself a bit better. While I was again stationed at the hospital 45 minutes from my apartment, this time I made sure that I ate breakfast before starting each day. I had also weaned myself completely off coffee before the start of the clerkship and never drank more than a single double-shot espresso each morning. I also preemptively put my gym-membership on hold. We didn’t have call on ob/gyn and instead had a brief stint of “night float”, where we were in the hospital from 7pm-9am for a number of days consecutively. This is a more realistic experience of life as an intern (with current intern rules), and has the advantage of allowing you to “switch over” from days to nights. I did a bit of research and when I switched over to nights I did a combination of fasting and napping that saw me switch over easily. During ob/gyn I didn’t have much of a social life- I was going to bed between 8:30 and 9:30 most nights and most of my time was spent in the hospital or sleeping, but all things considered I think I held up very well. I’ve long liked ending showers with a brief cold-water rinse (I think of it as a healthy bit of hormesis), but during surgery I lost the ability to tolerate cold showers. Actually the worst part of being “post call” was the dreadful, inescapable cold that would come over me early on the post-call morning. I’ve always been a warm-handed person, but on surgery I developed cold hands on a regular basis. While my hands weren’t always warm, I didn’t develop terrible chills on ob/gyn. Med school is, of course, a learning experience, and a big part of the experience is learning what your body can handle and what it can’t (and what you need to do to keep yourself healthy, happy, and sane). I’m not looking forward to the rough hours of residency, but I know the importance of prioritizing sleep, food, and socialization and I’m learning how to balance these things to keep myself well. Alas, just after celebrating my successful navigation of ob/gyn (at least on the “feeling good” front, I’m still waiting for grades to be posted), I was knocked almost flat by a night shift on my current EMS elective. While a night shift is not *required* during this elective it is strongly recommended, and I went out with the night crew on Thursday night to get an idea of what night-life on an ambulance in a rough inner-city is like (short answer- it does not disappoint). While I was out with a great team and saw some pretty interesting things, I’ve been suffering the consequences since. On Friday morning I had an insatiable appetite and was battling sugar-cravings (something I don’t usually have) for the rest of the day. Even after getting 11 hours of sleep last night I was still pretty groggy and fairly useless most of today. There are no more night-shift in my foreseeable future (though I know we’ll meet again during my Emergency Medicine clerkship) and I’m confident that with another good night’s sleep I’ll be back to normal, but this has been a good reminder of just how brutal sleep deprivation can be. My time with EMS (though only brief) has also reminded me that being in the health profession is often not a healthy practice. The people I’ve been working with sometimes risk their lives to save a stranger, but they also risk their health on a daily basis by living a lifestyle for which our bodies are ill-suited.